The IMSI recently completed a market trial research study which provides interesting consumer and producer feedback on the IMSI’s Proposal for a Standardized Definition, Grades and Nomenclature for Pure Maple Syrup. Findings were reported at the IMSI’s most recent Annual General Meeting which was held in Groton, Connecticut. An earlier Consumer Research Study was conducted by Cintech Agroelimentre and was reported on at the IMSI’s Annual General Meeting in Amherst, Massachusettes in 2008. Click on the report image at left to download a pdf version to your computer. Much of the maple research focused on the sugar bush, maple syrup production and marketing has been conducted by three research facilities in North America: Centre Acer in Quebec (http://www.centreacer.qc.ca/?L=En), University of Vermont Proctor Maple Research Center (http://www.uvm.edu/~pmrc/) and Cornell University (http://maple.dnr.cornell.edu/). In addition, other Universities conduct specialized maple research. 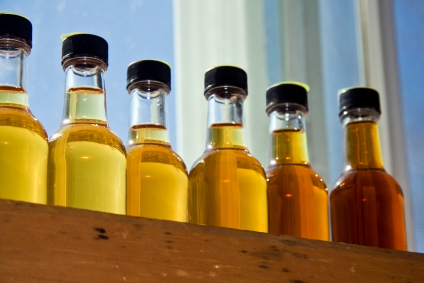 The North American Maple Syrup Council provides grants to researchers in support of maple research each year (http://www.northamericanmaple.org/).